The HHCA Theater Department is dedicated to creating a collaborative learning environment with exceptional education in the dramatic arts. We aim to elicit creative self-expression, critical thinking, confidence, and artistry through our theatre course offerings, main stage productions and other performance occasions. Students are given opportunities to showcase the talents our Lord has blessed them with as performers, directors, designers, musicians and stage technicians. HHCA is also committed to producing superior shows that will continue to delight, entertain, and educate audiences. 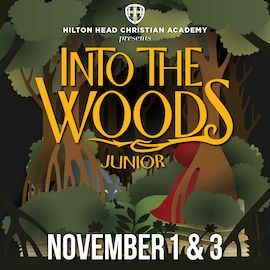 In recent years, HHCA has brought to stage shows such as The Sound of Music, Tarzan, Willy Wonka Jr., Guys and Dolls, and Beauty and the Beast to name a few. HHCA Theater also presents a unique opportunity for students to become responsible citizens. In order to have a satisfying and successful theatrical performance, every ensemble member must actively participate as a team member. Every student must practice respect of himself, the other ensemble members, and the performance environment. Every student must meet his commitment to himself and the other performers. Every student must develop the skills and knowledge necessary to participate successfully within the artistic and social framework of the theatrical ensemble. Every student must strive for excellence and take pride not only in his individual work, but also in the cooperative production of the ensemble. Based on one of Hans Christian Andersen's most beloved stories and the classic animated film, Disney's The Little Mermaid is a hauntingly beautiful love story for the ages. 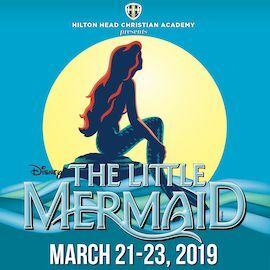 With music by eight-time Academy Award winner, Alan Menken, lyrics by Howard Ashman and Glenn Slater and a compelling book by Doug Wright, this fishy fable will capture your heart with its irresistible songs, including "Under the Sea," "Kiss the Girl" and "Part of Your World." This will feature HHCA's large ensemble cast and a 20-piece live orchestra, for a family event you won't want to miss! Performances will take place March 21-23 @ 7pm and March 23 @ 2pm at the Seahawk Cultural Center located at 70 Wilborn Road on Hilton Head Island. Open to rising 4th - 9th grade students. You do not have to be a HHCA student to participate. Auditions for large roles: Monday, May 6th from 3:30-5:30. Students must be registered to be eligible to audition. Audition requirements will be emailed after registration is complete. 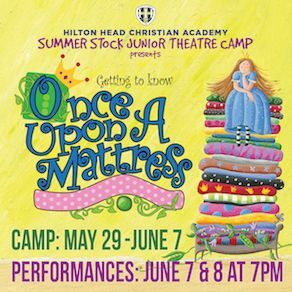 The second annual HHCA Summer Stock Junior Theatre Camp will focus on building a quality performance of a show our school has produced in recent years. This summer's students will be performing G2K Once Upon a Mattress for a paying audience on June 7th and 8th at 7:00 p.m.
By registering for this camp; students agree to participate regardless of the role received. We consider all cast members to be valuable and necessary to mount a successful production.